Welcome to the JVNP 2.0 Update featuring a primary JV request courtesy of fellow JVNP 2.0 Partner Emilis “Emka” Strimaitis (Product Academy Incubator 21 day digital product creation and promotion coaching program launch affiliate program JV invite), Buzz Builders (Shawn Casey and Brian Koz – Year End Software Blowout launch) and More … in Today’s from zero to launch in just 3 weeks edition. The JVNP 2.0 Update will not be published on Thursday, January 1st in observance of New Year’s Day 2015. From our Family to yours, Happy New Year … whether you’re celebrating, or not, and all the best in 2015! 2015 is here, and do you know what that means? New Year’s resolutions. We’re working in make money online industry, so it’s not surprising that a lot of people will have one thing on their resolution this year (like every year) – BECOME FINANCIALLY INDEPENDENT. We can start 2015 strong by giving people an opportunity to put this check on their resolution. 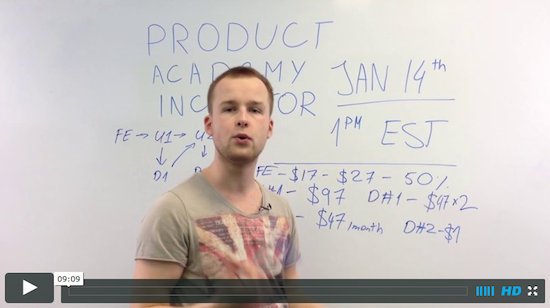 I’m launching a product called “Product Academy Incubator” – it’s a detailed 21-day step-by-step coaching program where I teach the most guaranteed income method. This method is something what both of us know works – product creation and launching. 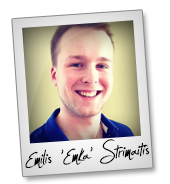 I’ve made the entire process SO SIMPLE that anyone can follow easy 21 steps and launch their own digital product – and finally create themselves a profitable online business. Over $4,000 in JV Prizes! Product Academy Incubator is a 21 day coaching program where person will get a short (5-25 minutes) video and a task each and every day. Following this plan anyone can create, develop and launch their own digital product in only 3 weeks from a complete scratch. The best thing is – you don’t need almost any budget at all, and you don’t need to be an expert. I teach how ANYONE can launch a digital product. The vision behind this product is to provide something what anyone would be able to use and make money with. We’ve chosen the beginning of the year not without a reason – this is the time when people have the most motivation, when they are ready for new opportunities and challenges. Product Academy Incubator is an exceptional value product that’s simplified to a step-by-step manner. >>> Find out how to grab your affiliate tools, product info, JV contest and more!